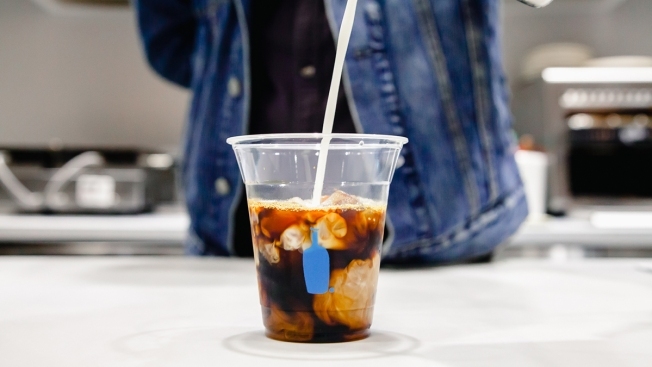 Here's the buzz: the Bay Area's beloved Blue Bottle Coffee had entered the San Diego market. Coffee. One little word can brew up so much happiness. This week, a buzzy Bay Area coffee brand entered the San Diego market. Eater San Diego shares that story, plus other top tasty tidbits of the week from our local food and drink scene. The Bay Area’s coffee giant, Blue Bottle, entered the San Diego market this week with a café that debuted at the new One Paseo complex, across from Shake Shack. Serving its full range of coffee drinks – including its famed New Orleans-styled cold brew – the café menu also includes toasts and fresh-baked waffles. A $120 million expansion to the North County’s Del Mar Highlands complex will add 120,000-square-feet and more than 40 new shops and eateries. One noteworthy upgrade: a 20,000-square-foot upscale food hall called “The Skydeck,” that will include a beer tasting room, cocktail bar, and outposts for pizza, pastries, and more. The local roaster plans to open a coffee bar combined with a scoop shop run by its ice cream shop, Mutual Friend, in South Park. Then, later this summer, Dark Horse will bring a café to Chula Vista which will also offer pints of its ice cream. Coming to Adams Avenue this June is Pachamama, a new quick-service eatery focused on organic, healthy eats. The menu here will incorporate the flavors and classic elements of South American fare, from arepas to empanadas. The options will primarily be vegan but include grass-fed beef and sustainably-sourced salmon. The founding chef of Bivouac Ciderworks is aiming to open a solo restaurant this May that will feature Filipino cuisine in reinterpretations of classic dishes and inventive plates that combine traditional flavors with French and fine dining techniques. Called Maya, the bistro will serve breakfast, lunch, and dinner.